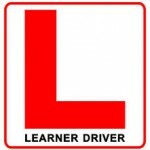 With several different posts detailing some of the intracacies of the South African Driver’s Licence system, a number of questions get repeated. This post aims to address some of the most common questions. I have an A, B, EB, C, EC, C1, EC1, Code 8, Code 10, code 14 licence, can I drive a motorbike, truck, articulated vehicle, quantum etc. South Africa no longer has Code 8, 10 or 14 licences. In 1998 they were changed to the A, B, C, E format. You can see a comparison of before and after equivalents here. You can see what all the modern licence codes allow you to drive here. I was arrested, charged, plead guilty to, arrested 2, 3, 5 years ago, can I get a PrDP? You are unlikely to be approved for a PrDP if you were convicted, or plead guilty to any criminal offence in the last 5 years. That includes signing an admission of guilt. Usually this does not include ‘minor’ traffic offences such as parking or speeding tickets, assuming you were not convicted for reckless or negligent driving. If you were just arrested, or charged, but never actually convicted, you should be able to get a PrDP. I am driving a bakkie, quantum, van, ford f150, truck do I need a PrDP? It depends. If it’s a commercial vehicle, yes. If it has seats for more than 11 people, yes. If you are transporting people as part of your work, yes. Still not sure, read this article. I have a code B, EB, C1, EC etc licence, and I want to get a code A, EC1 licence, etc do I have to redo my learners? Yes. Regardless of what licence you hold, if you want to get a new licence of any code, you need to do a new learner’s licence for that code. I am 18, 20, 25 years old, can I get a PrDP? The source for all answers is based on the National Road Traffic Act and it’s subsequent regulations and ammendments.